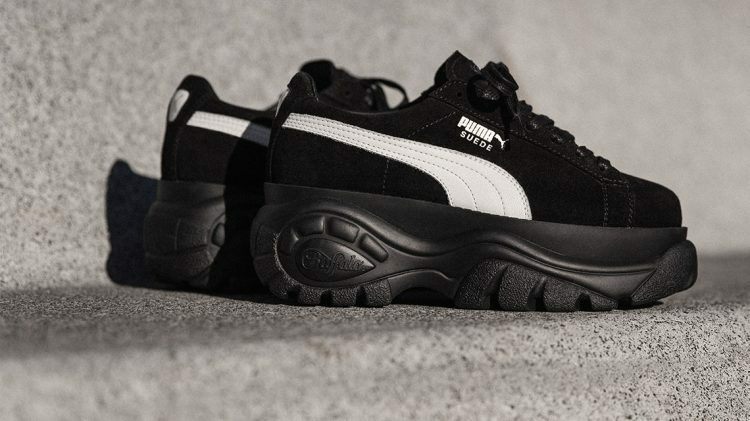 Take Buffalo London’s signature chunky outsole, put PUMA’s classic iconic Suede silhouette on top and what comes out is a retro fashion statement for children of the 90s and anyone who loves platform sneakers! Having partnered up with Buffalo London, PUMA drops the Suede Platform pack blending the best of sports and fashion: PUMA’s timeless Suede and Buffalo London’s signature chunky outsole. Since its foundation in 1979, Buffalo London has become a popular brand among trendsetters in the world. Their notoriety increased significantly with the popularity of their platform shoes from the mid-1990s. 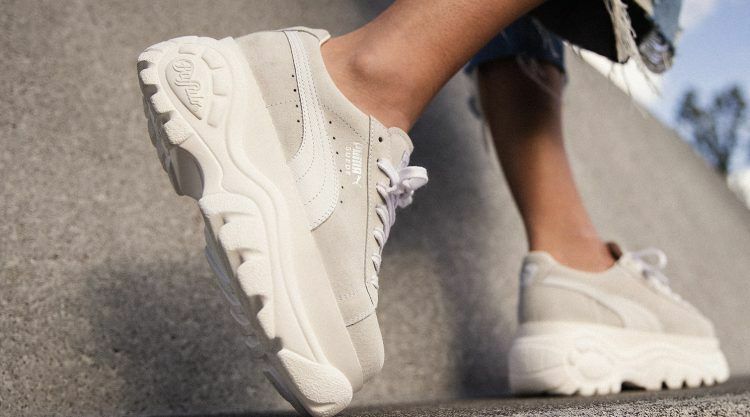 30 years on, chunky sneakers take center stage once again. The PUMA x Buffalo London Suede Platform has a clean, simple silhouette merged with chunky and rough style. Woven co-branded label on the tongue and wax laces create a contrasting look. The chunky Buffalo London Suede debuts in white and black colorways on December 8. The sneakers are built atop the chunky Buffalo London outsole: a premium tonal suede upper with leather Formstrip. PUMA North America is one of Boston’s most trend-setting companies!